Air con tourist bus or private transport + boat trip. Stay at hotel in Ha Long or Tuan Chau Island. Thien Cung + Dau Go grotto Caves. Tuan Chau Island - Music Water Fountain & Dolphin shows. 8:00am – 08:30am Pick you up at your hotel in Hanoi Old Quarter. 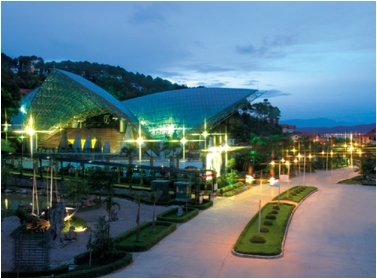 Enjoy the interesting three and half hour drive to HaLong City. 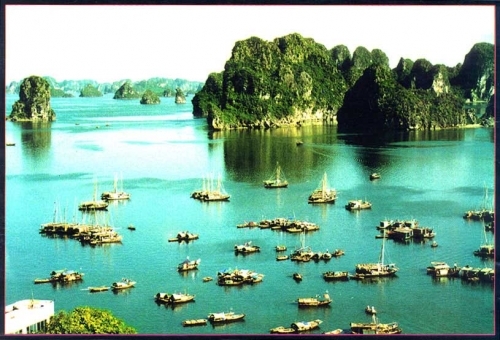 Start HaLong Bay – Tuan Chau Island 2 Days 1 Night Tour. 11.30am: Arrive in HaLong City. Lunch at local restaurant. Then take a boat trip about 4hrs journey. 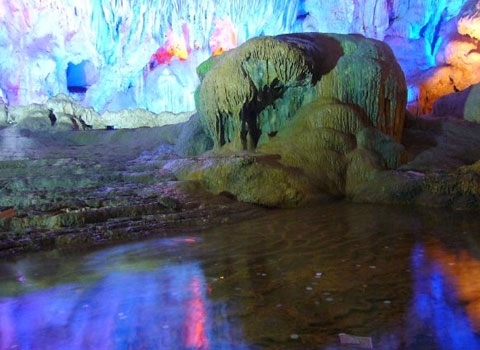 Cruise through the emerald waters between the limestone outcrops and long corridors, visit Thien Cung cave (the cave of the heavenly palace – famous for its stalagmites and stalactites) the cave has only opened to the public since 1998. A short way visit the newly discovered Dau Go grotto. Back to HaLong city where your bus will be waiting for you to take you to Tuan Chau island. Enjoy the Music Water Fountain show (ticket is not included). Dinner and overnight in HaLong City or Tuan Chau island. ​Included: Air con tourist bus, lunch, dinner, English speaking guide in tour, entrance fees, 01 water bottle and accommodation in Halong City or Tuan Chau island. Excluded: Breakfast, drinks, tips, travel insurance and personal expenses. AM: Breakfast at hotel. 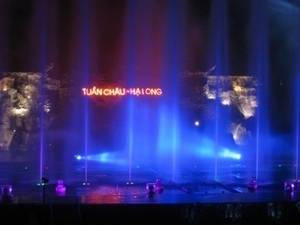 Free time to visit HaLong city or Tuan Chau island. Enjoy the Dolphin show (the ticket is not included). 11.30am: Lunch at local restaurant. Then back to Hanoi. 16.00pm: Arrive in Hanoi. 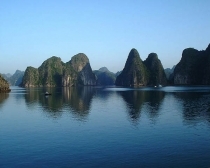 Finish HaLong Bay – Tuan Chau Island 2 Days 1 Night Tour. Included: Air con tourist bus, breakfast at hotel, lunch, 01 water bottle and English speaking guide in tour. Excluded: Dinner, tips, drinks, travel insurance and personal expenses. Air con touris bus Hanoi – Halong – Hanoi. 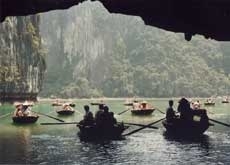 Boat trip in Ha Long Bay. Accommodation (twin sharing or triple). Entrance fees and 02 water bottles. ​E-visa to Vietnam (we can help you this, please contact us via sales@vietfuntravel.com). 4. If you are a single person or you request a single room, you must choose single supplement part.